KOKO the gorilla is making his debut among the distinguished sitters lining the walls of the National Portrait Gallery. 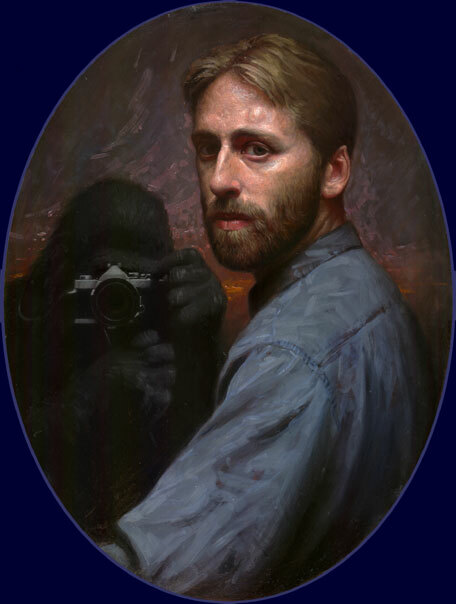 A painting of the gorilla, who was taught American sign language in the 1970s, and is portrayed alongside the artist, Conor Walton, is among four paintings that were shortlisted yesterday for the BP Portrait Award 2005, one of Britain’s leading art prizes. As well as a cash prize of £25,000, the winner receives a commission from the National Portrait Gallery. Sandy Nairne, the gallery’s director and chairman of the judges, described Monkey Painting as “beautifully painted, an Old Master-type study”. The artist is reviving the genre called singerie or “monkey painting”, which dates from the 17th century. Monkeys were portrayed in human clothes, performing human actions, as a symbol of human foolishness and vanity. They were often depicted in artistic activities, including painting, signifying that through art, man became nature’s ape. Monkey Painting is a complex play between animals and human beings, in the sense that the artist has given the gorilla a camera with which to photograph the onlooker. He faces competition from Gregory Cumins, 31, a French graphic designer and sculptor who was singled out for his particularly dark — almost jet black — portrait of the British Paris-based sculptor Richard Deacon. The judges were struck by Cumins’s use of layers of paint in creating “a powerful head”. An English portrait painter who has been shortlisted for the award several times since 1993 without winning it is on the list once again. Dean Marsh, 36, from London, is up for his portrait Giuletta Coates. Saul Robertson, 26, from Glasgow, is also nominated, for The Universe, praised by the jury for its “sense of delight”. The judges also chose 53 portraits for the annual exhibition at the gallery, which runs from June 15 until September 25. The show then travels to Sunderland and Edinburgh. Last year’s BP Portrait Award exhibition attracted 180,000 visitors. The identities of the artists were not revealed to the judges. The award was set up 25 years ago to encourage young artists to focus upon and develop portraiture. This year there was a record number of entrants — 1,081 compared with 961 last year. “Who said painting wasn’t flourishing?” Mr Nairne said.